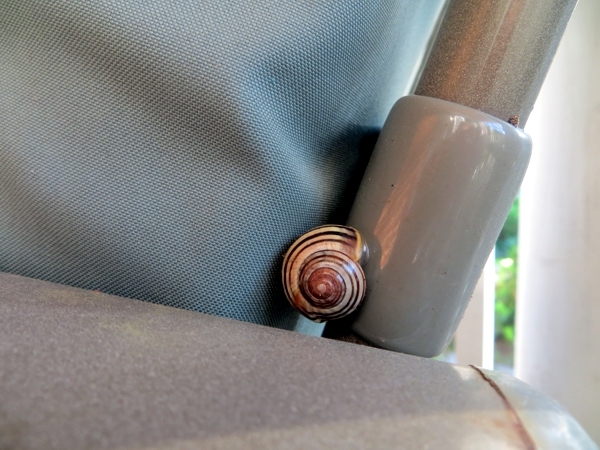 Snaily turned up a couple of weeks ago behind one of the little tables I use to hold tea and knitting supplies. I love his spirally shell. But I guess he didn't love the knitting quite so much as all that, because after a few days Snaily disappeared from his post (ha! I made a funny) and turned up on the side of the one chair that faces away from the knitting nest and toward the front door. And then after a few days there, Snaily was apparently alarmed to discover somebody sitting in the chair, thereby depressing the cushion that was very near his perch. 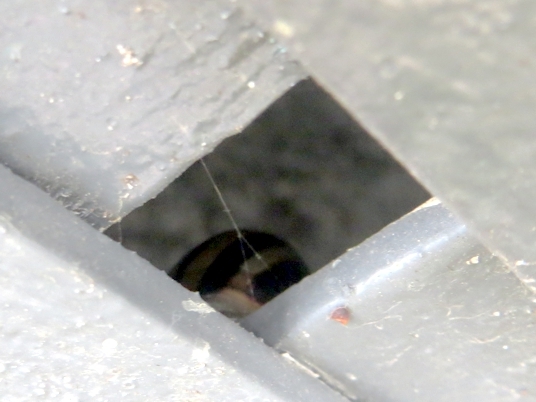 So he leapt to the ground (I think the sitter might have played a role here, but purely by accident), and made his departure across our peeling porch floor. 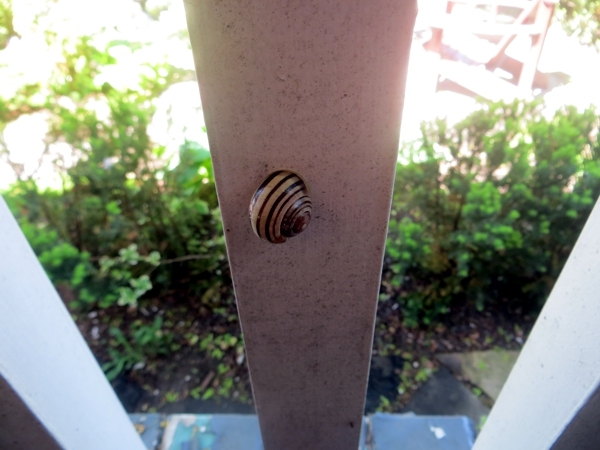 Bye bye Snaily! 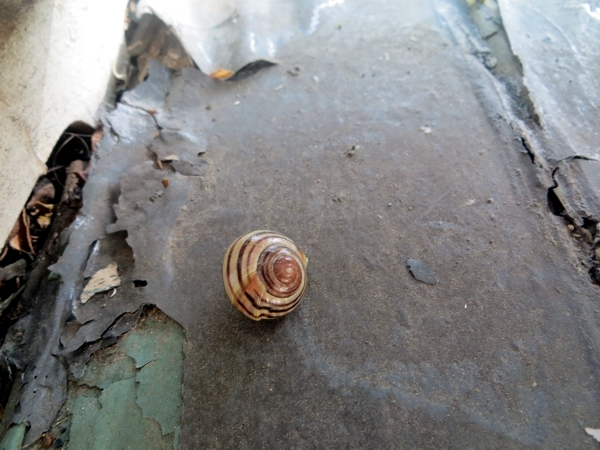 I still love your spirally shell. ... behind some lattice across the front of the porch. Almost as though he really didn't enjoy being my knitting buddy and didn't want to be found. But surely that can't be possible? 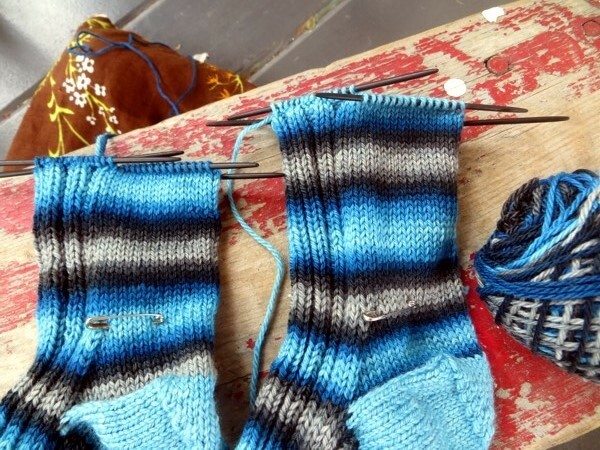 Because knitters are the best companions, even if they never seem to knit anything but socks. Hope you have a great day, with or without a slimy gardeny knitting buddy, and I'll see you tomorrow!